Shigeru Miyamoto, the man behind Mario, had a simple dream: To create a game that would force players to communicate with each other to progress through it. 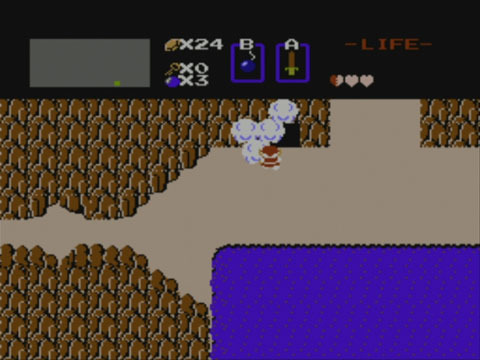 This idea was put in practice with The Legend of Zelda for the NES, which came out in 1986 and brought to Western lands in 1987. This game actually may even have oprainfall-spirited origins, because, at the time, Nintendo doubted Miyamoto’s vision being able to live outside of Japan. The Action-Adventure genre barely existed, and a game that had the similar patience required of an RPG was heavily questioned to be successful in the Americas in the 80s. The question is, how does it relate to today’s games and how does it hold up? First thing that you should notice out of the gate is that the design of this game is open-ended — not very commonplace for the time and it’s debatable if it’s even commonplace for later titles in the series. You don’t even start with a sword, you have to immediately explore to find that your wooden sword is in the cave. (Come on, if you can’t get this far, please put down the controller forever). Once you get that, you should be off, exploring the open world with practically no real direction on where to go. As such, some people say this game is cryptic. Well, it is and isn’t. 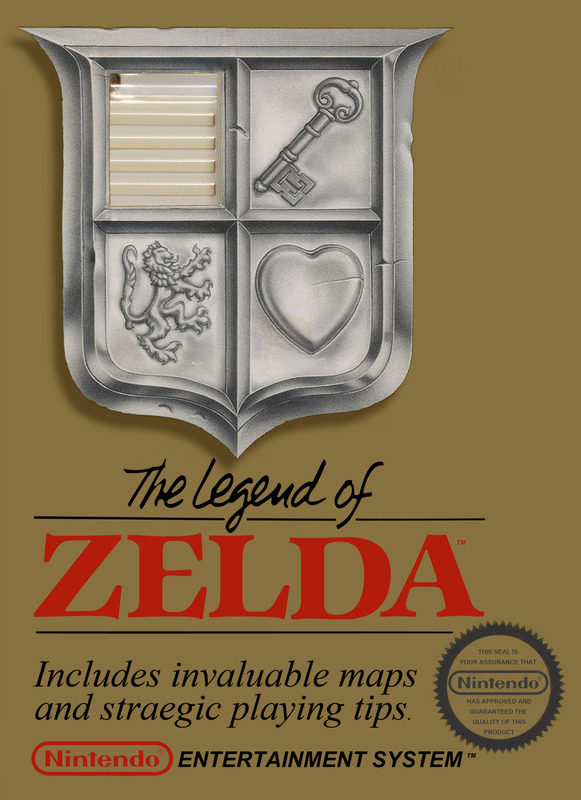 Originally, the game came bundled with an overworld map that even shows where some secret stuff is located. Additionally, the instruction manual contains directions to the first and second dungeons of the game! So, for those of you dusting off an old NES game today or playing this game through the Virtual Console, don’t think you’re a weakling because you looked up the info (Yes, I’m debunking the argument that you’re a ‘weaksauce’ gamer for looking up help for this game cryptic game). You know, uh, old man, I’m still going alone. A sword is not another person going with me. So, am I still in danger? Past that aid, you have seven more dungeons to complete that have cryptic ways of accessing them, with countless numbers of hidden secrets along the way. Miyamoto’s vision was to have players speak to each other and compare notes to help each other get through the game. Considering the non-linearity in this game, it’s a clever idea. For example, if you found dungeon Level 3 and your friend found dungeon Level 4 and beat those dungeons respectively, you can trade notes and tell each other where your respective missing dungeon is. You found a Heart Container on the east side of the island that was stuck across from you in the water and your friend found a different Heart Container by randomly bombing a wall to the North? Let one another know, so you can have two extra hearts instead of one! That’s the true appeal of The Legend of Zelda, and that charm still holds today. It’s a game based on communication with other players, and that inspiration has taken on the form of many future titles such as Nintendo’s own Animal Crossing series. Even the Miiverse promotes communication amongst players. That said, that was the charm of the game in the 80’s. This is 21st century gaming where the Internet thrives, and it’s where you’re reading this review, right? So, once you get that ‘Nintendo Hard’ guesswork out of the way, you’ve still got a long way to go. The landmass of this game is just the beginning. The dungeons in this game are creative. You’ll spend lots of time in them bombing walls to see if they reveal secret pathways, checking every block to see if it’s pushable and combating the grueling bosses that make you figure out if there’s an item that they are weak to. The 8-bit swordplay still packs a punch to this day. It comes down to more than just mashing the A button. When you’re not attacking, you’re safe from enemy projectiles when facing the enemy due to your shield. That’s pretty cool, huh? Okay, give me a break, that was very awesome for its time. Got the Blue Ring to cut your damage in half and the best sword you can have, and still get mauled in a dungeon? Perhaps you need to stock up on two potions to buff yourself or keep trying to get better reflexes. The dungeons themselves are quite challenging and complex in layout, so maybe it’s just that you keep getting lost in the dungeons and wasting time fighting enemies. 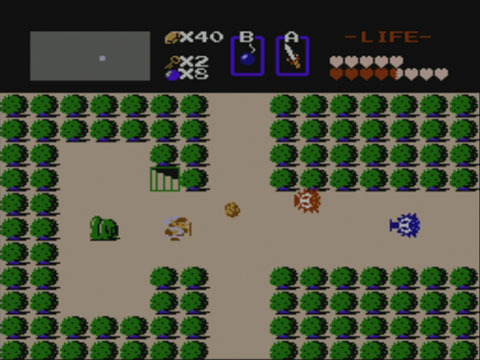 Perhaps you need to prepare better and think on your feet as you get more items throughout the game such as the Boomerang, Arrows and Bombs — put to good use by simply mapping them to the B button. You may only be able to map one item at a time, but the menu presentation is pretty simple in a good way. Despite the cryptic tendencies of Zelda, immediate skill is required. Perhaps you’re also just in a dungeon too early, and you’re doing the dungeons out of order — a rare feature for newer Zeldas, excluding Majora’s Mask. Maybe that’s part of your bravery? That’s the beauty of the open-ended nature of this game. Although there’s still an intended order, as you (usually) find a new item in each dungeon that further aids your quest. 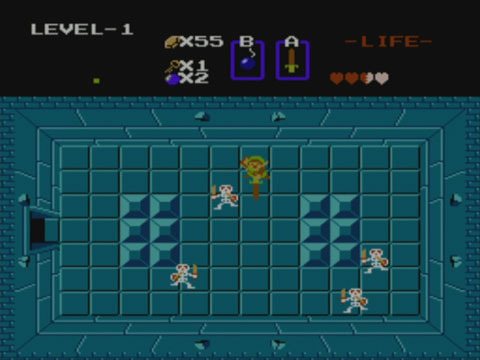 Some dungeons are virtually impossible without an earlier item, and you run into problems such as not being able to cross gaps without a ladder. Did I also mention that any keys you find can be used on any door in any dungeon? This also includes the possibility that you may buy keys from shops to truncate the time you spend searching for keys in dungeons themselves. Again, rare to see in Zelda games after the original. The soundtrack is brief, but forgivable for an early NES title — clocking in at under seven minutes worth of music — but what it does play truly fits the atmosphere. The Overworld theme is what most people think of as soon as they think of Zelda in any capacity. The sound effects are great — from the sword slashing, to arrows bouncing off your shield. Of course, we can’t forget the iconic Zelda chime for finding a secret. Koji Kondo still brings musical wonders to the series to date by making sounds that tickle your brain and music that immerses appropriately. I can’t really say the presentation for this game is standard for today. In fact, a lot of this game in general may feel dated, but it’s one of the most influential video games in history. That’s just it, though: however dated it may be, it pioneered so much. 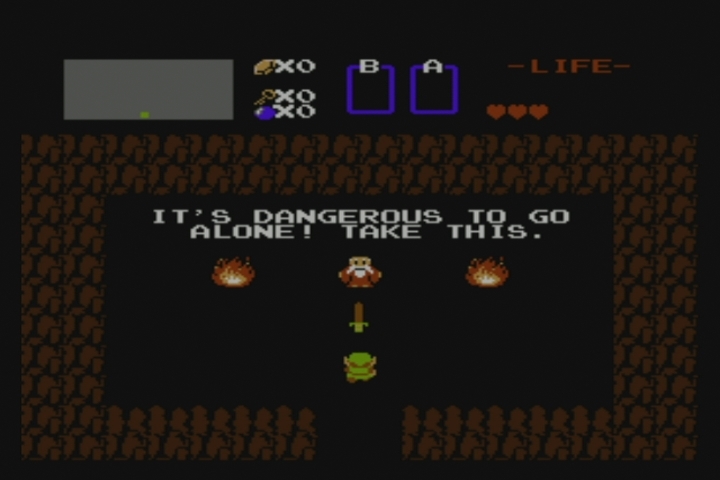 The Legend of Zelda has very few contenders in the NES library. You’ll get an amazing 10 hours of experience (thank goodness that you can save the game thanks to the innovative internal battery inside of the cartridge!) on an average playthrough with an even harder second quest awaiting you upon completion with fresh new dungeon arrangements. If it weren’t for this well-crafted experience that is The Legend of Zelda — while not an RPG itself — players would not have been introduced to the patience it takes to play action-adventures and RPGs like Final Fantasy, which is a game that lead to the popularization the JRPG genre. In that sense, this game planted a seed for the niche of genre that this very site loves. Games of today like Skyrim owe it to this game for pioneering the true open-world nature gameplay style. You should definitely know what I’m talking about if you’re an old-school gamer reading this. If you’re of the youthful group of passionate gamers, you owe it to yourself to play this game. It’s dangerous to go alone, take an original cartridge on the NES or get an eShop card and spend that $5 on Wii or Wii U Virtual Console!